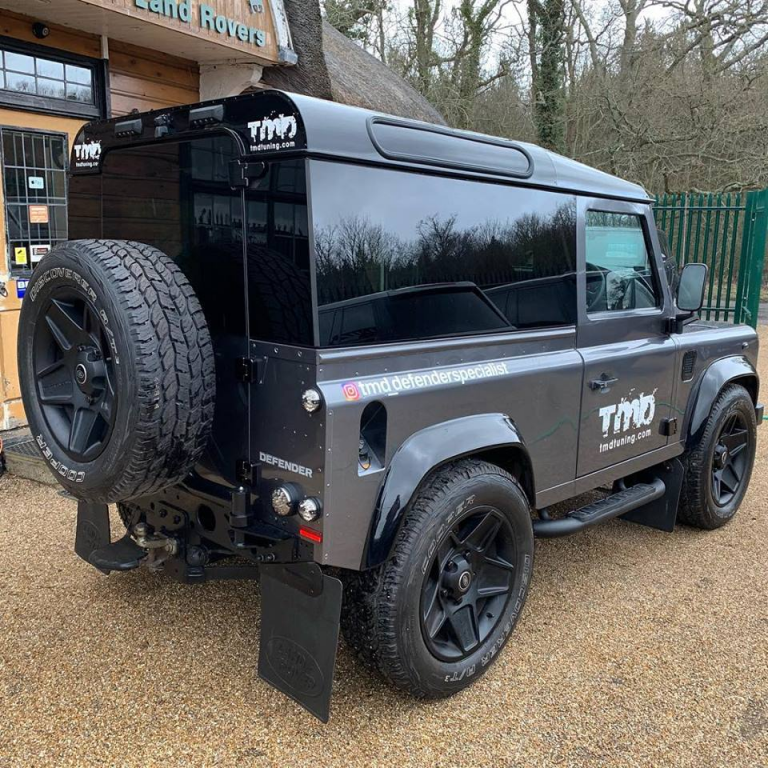 Here at TMD we are installers of Panoramic Glass for your Land Rover Defender ®. 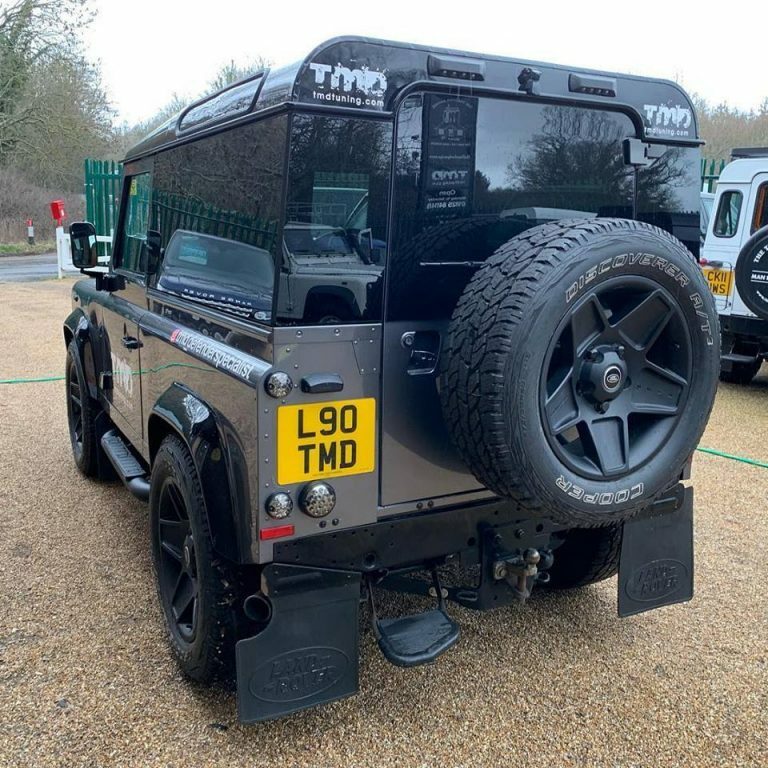 This probably is one of the best changes you can do to the outside of your vehicle, as it really does change the whole look of the vehicle, and it is without doubt one of the sleekest exterior modifications that really will turn heads. The glass we use has a 90% tint, so when fitted to a black vehicle for instance, it gives it a utility look, even though the glass is quite highly tinted, visibility is still very good when looking out from the inside. 1 X REAR WINDOW WITH LED BRAKE LIGHT, THIS IS A FULL WIDTH GLASS. 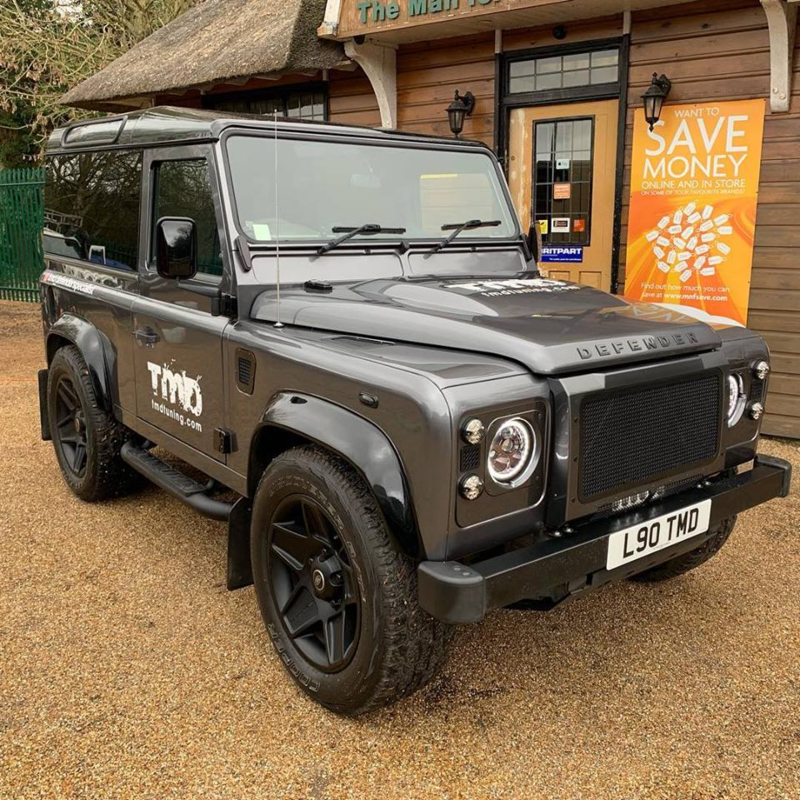 We can fit this glass on Land Rover Defender ® 90 or 110’s it can be fitted to Station Wagons, where we remove the existing windows, or we can fit it to Utility models where we cut the side and rear panels and then fit the glass over the top. All of this work is carried out in house by our expert installers. The cost for this service for a 90 or 110 is £1890 Inc Vat.